Your wedding day should be a positive, low stress, memorable day! 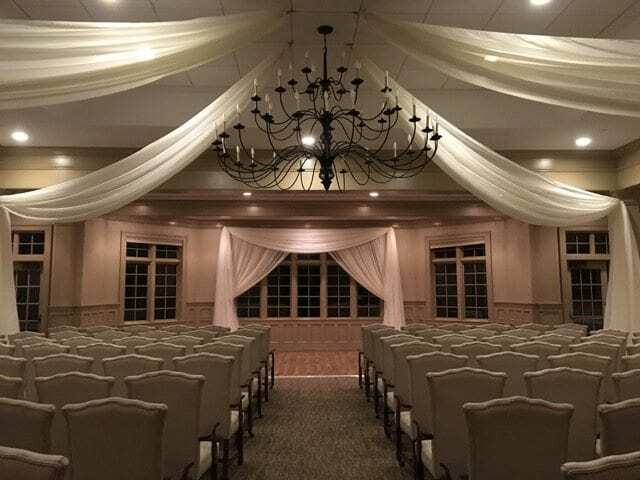 Our team of draping experts will create that for you by taking care of the decorating details for indoor or outdoor weddings. 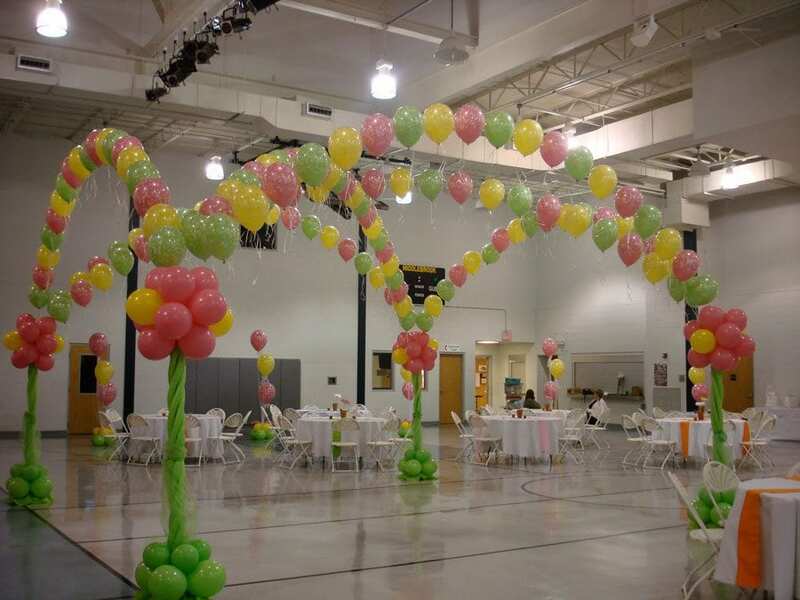 By incorporating fabric draping, balloons, or lighting, you get a completely unique atmosphere. 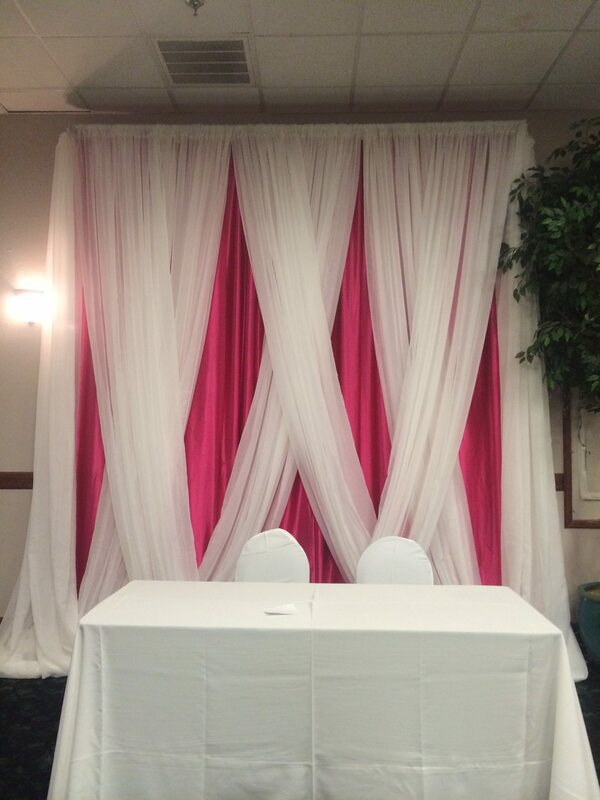 No other bride’s wedding will look like yours because all of our décor is custom-made to fit your wishes and budget. Whether you want all fabric or a touch, a room of balloon décor or just a touch, we’ll design and install “the” look for you. Best of all–no one in your wedding party will lift a finger, making your day far more relaxing. 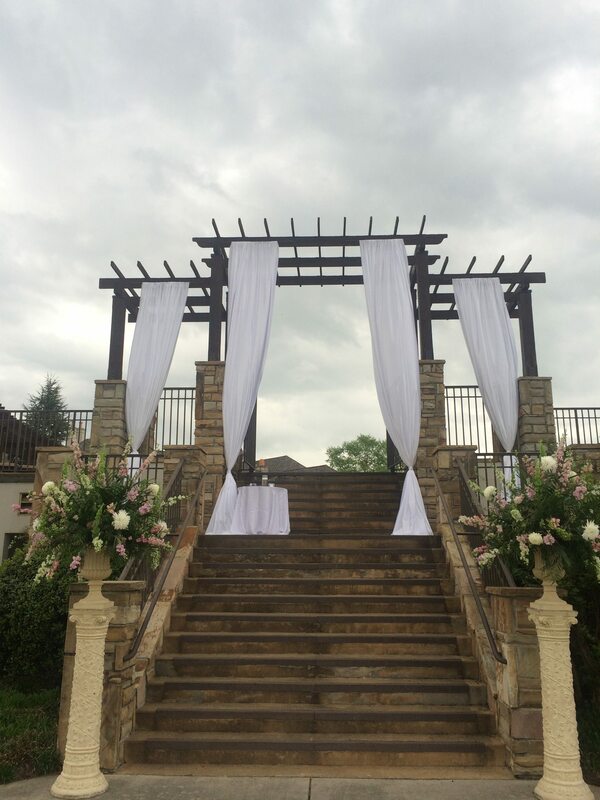 Imagine the joy of walking into your ceremony or reception and seeing how the venue has been transformed magically! Do you want romance and fun at your reception? Have a large room that needs pizzazz? 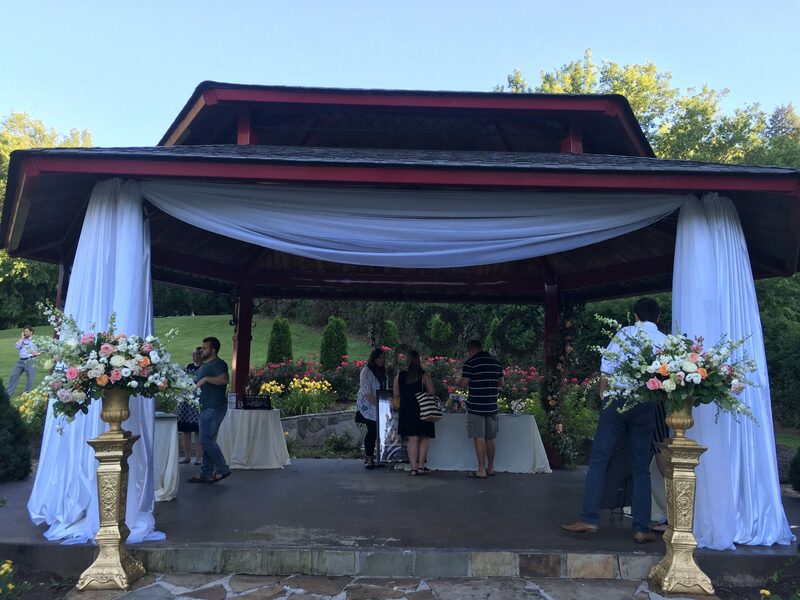 We can create one-of-a kind entrance arches, columns, dance floor canopies, and illuminated tablescapes all designed for you. Just ask, you may be quite surprised what we can make for you! 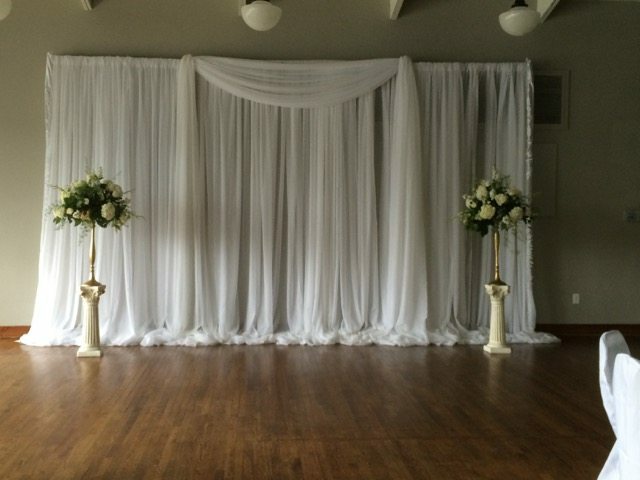 Fabric draping makes your wedding glamorous! 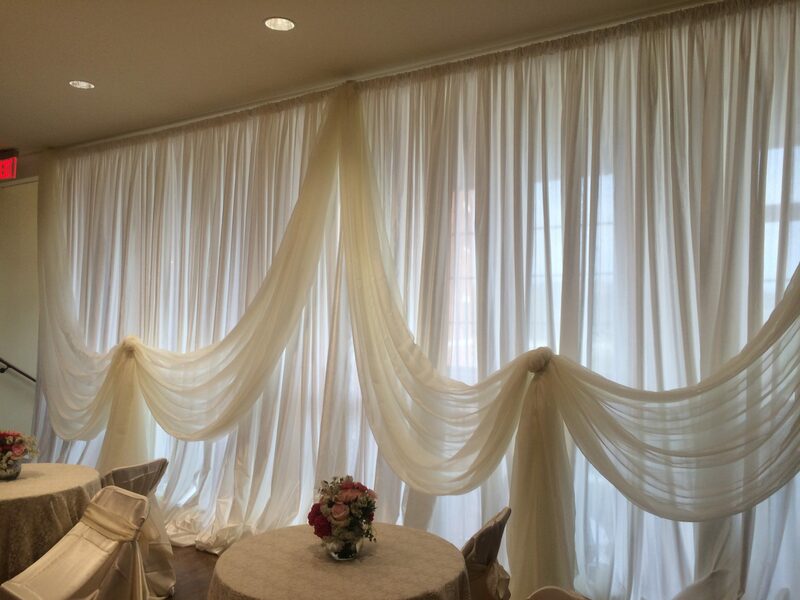 Luxurious white sateen and sheer fabric can add elegance to any room. 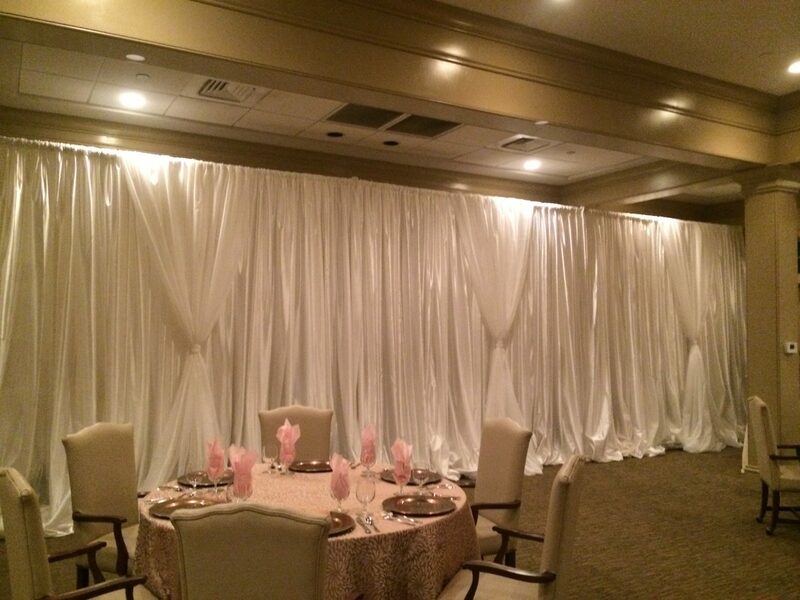 Creative Criss-Cross wall draping makes any wall beautiful. Design by Above the Rest Event Designs. 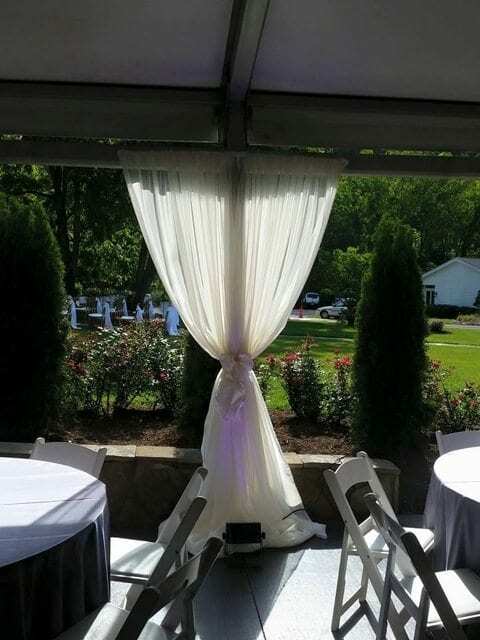 Draping fabric adds class and elegance to ceremonies and receptions. Design by Above the Rest Event Designs. 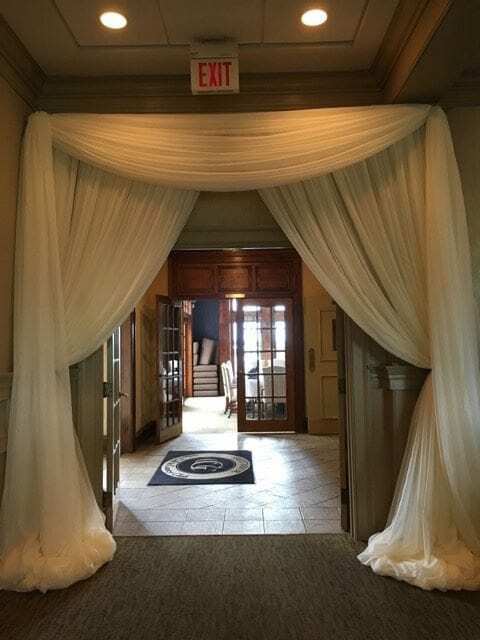 Fabric draping transforms the entrance into a welcoming feel. Design by Above the Rest Event Designs. 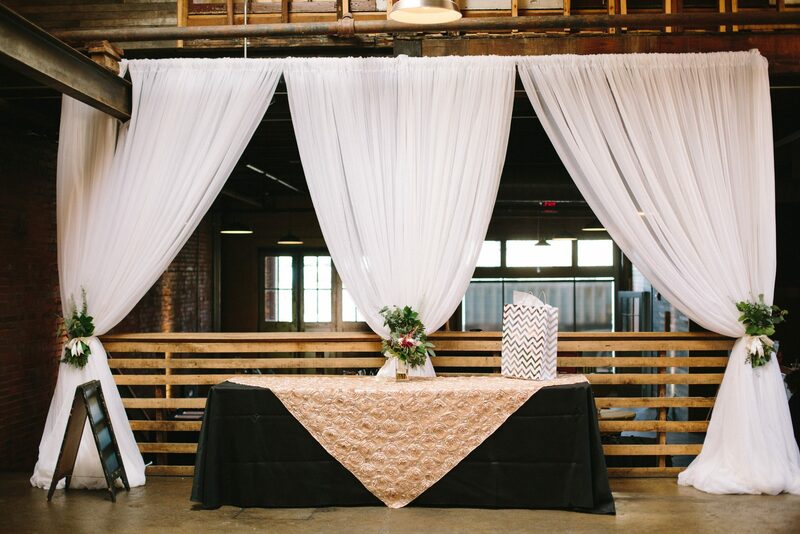 Adding sheer fabric to The Standard softens the industrial look and creates a FUN atmosphere! 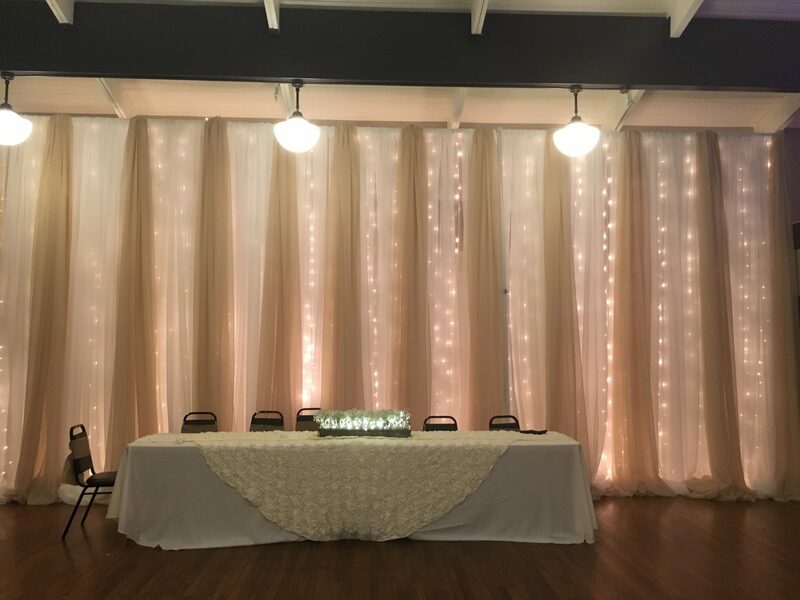 Set a magical tone with our waterfall wall that glows romantically. Design by Above the Rest Event Designs. 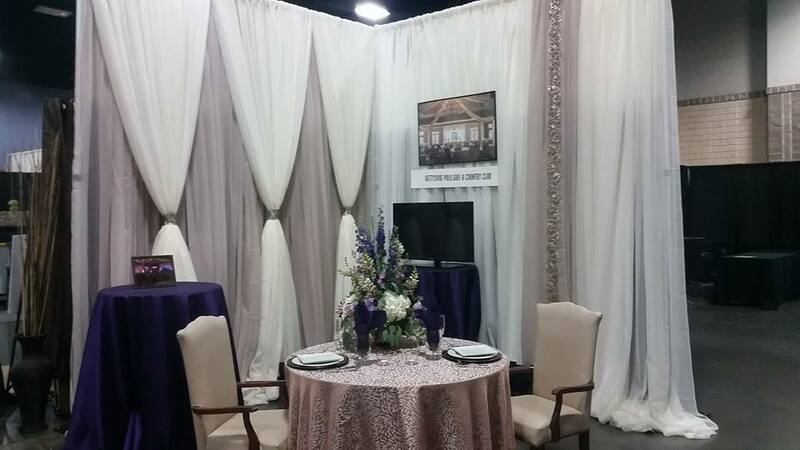 Trade Show booths stand out with our draping. 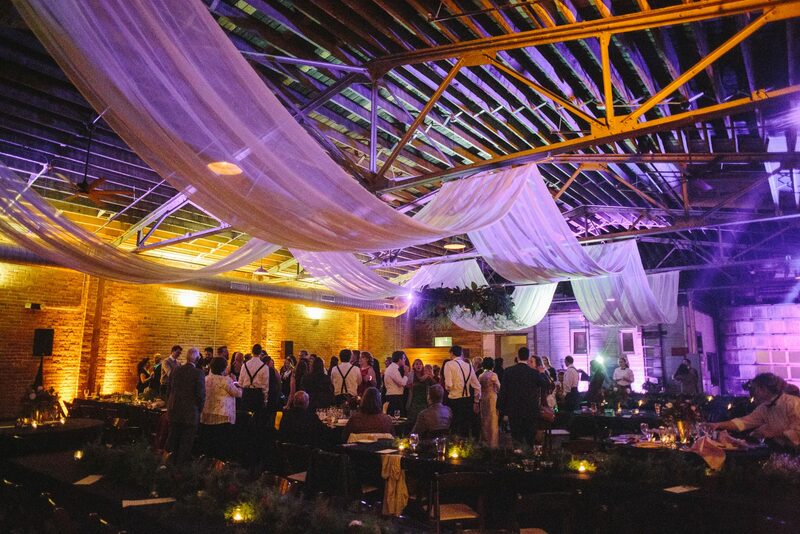 Imagine the romance a Waterfall Wall can create at your reception. 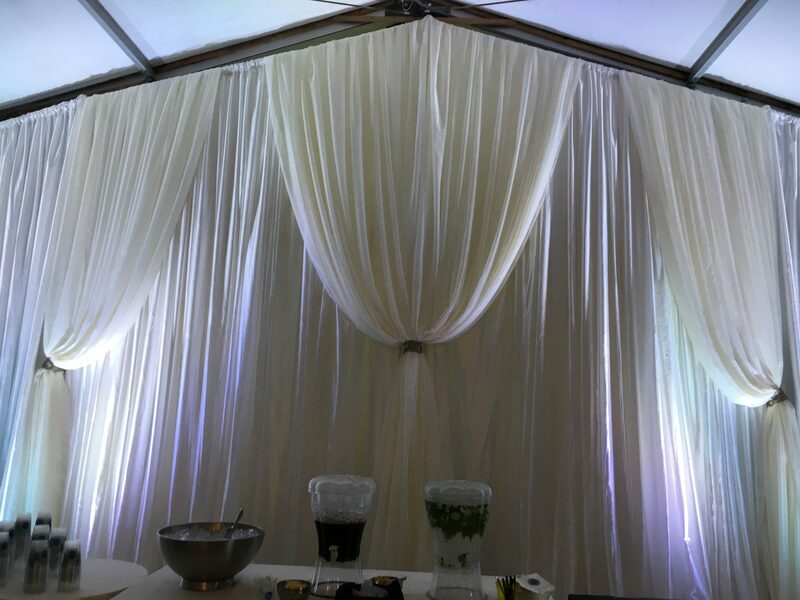 5′ Wide sheer fabric hides unsightly tent poles. For a unique look, ask us to create weaves for your event. 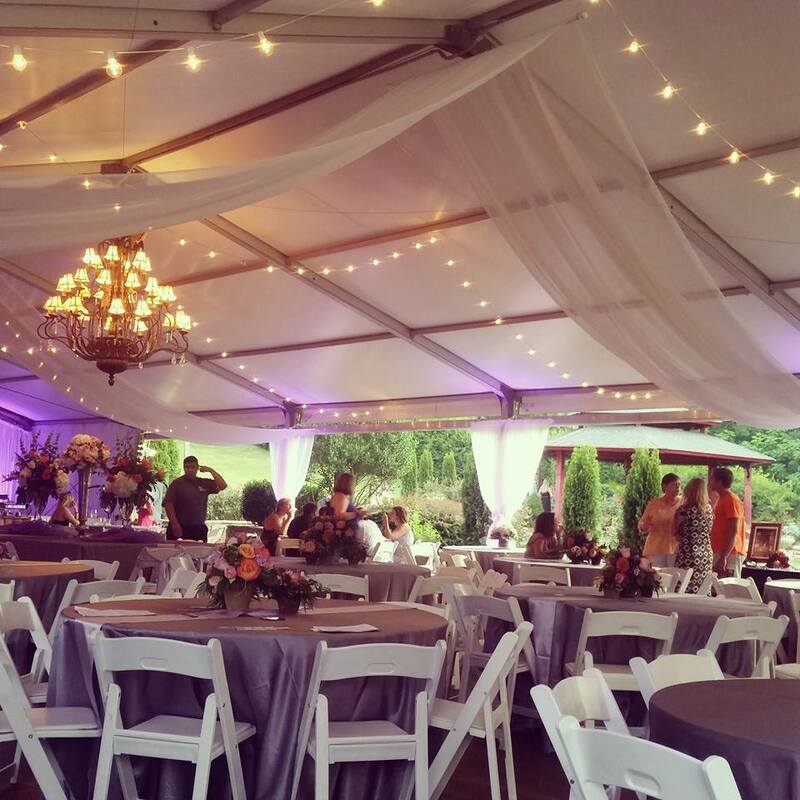 Fire Retardant Proof sheer draping reaches up to 18′ to frame windows for wedding event. 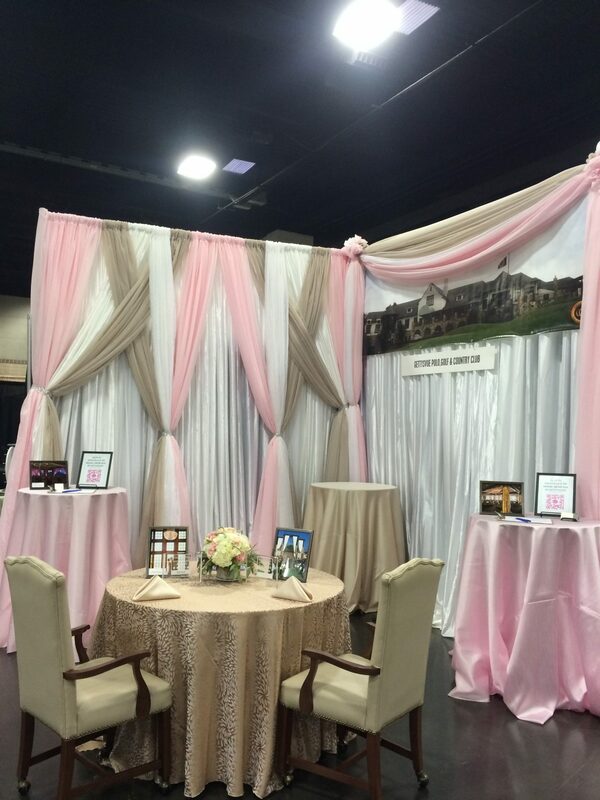 Bridal tent decor create a special look for you. 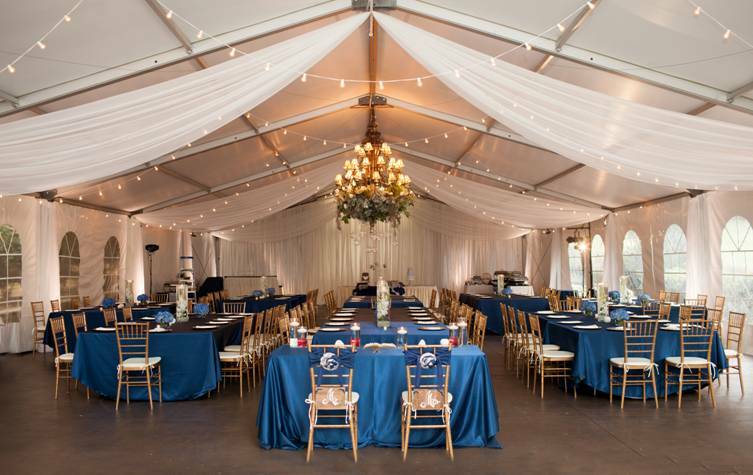 Have an elegant event? 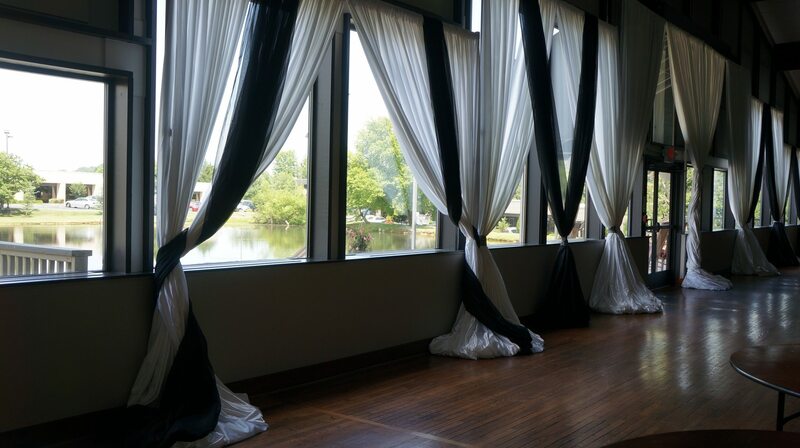 Then our black and white draping will fit the bill!